If you're scrambling to find quality wedding dance classes in New York, simply search through our comprehensive wedding guide. Whether you're a novice dancer or an experienced dancer looking to brush up on your skills for the big day, find all types of wedding dance lessons in New York. Private Wedding Dance Lessons in NY from a Genuine Pro! Providing private ballroom dance lessons to couples throughout NYC, Kerensa is your go-to instructor for wedding dance classes in NY! Don't risk having two left feet at your wedding reception. Blow your family and everyone else at your party away by learning rhythmic moves from one of the most talented instructors in the state. Kenesa possesses an extensive amount of dancing experience, having performed at such world-famous venues as Madison Square Garden, the Brooklyn Academy of Music, and the Metropolitan Opera House at Lincoln Center. Each lesson is approximately 50 minutes and a private dance studio is always guaranteed! Log onto the website to find out about specials and package deals. Got To Dance At Your Wedding! Learn to dance for your special occasion and have a private dance lesson here at NY Wedding Dance. They offer to provide flexible schedules for your lessons and cater to your needs to help you prepare yourself for your dance number at the wedding. An upscale dance studio here in New York, NY Wedding Dance will train you to dance gracefully on your wedding day. So learn to dance here at NY Wedding Dance where you will surely enjoy and learn how to dance gracefully. A Special Couples Dance For Your Wedding! Learn to dance in preparation for your wedding day and let Wedding Day Dance train you to dance gracefully with elegance. With their skilled and experienced instructors, Wedding Day Dance will make sure that your dance number for your wedding will be specially choreographed. Have a memorable wedding experience here in New York and learn to dance perfectly on your wedding day here at Wedding Day Dance. Learn To Dance At Your Wedding With Dance Manhattan! Here at Dance Manhattan they offer to prepare you on your dancing for your wedding day. With years of experience and among the best dance instructors here in New York, Dance Manhattan will make sure that you will dance gracefully on your wedding day. Plan a spectacular wedding and enjoy a couple's dance together with your loved one. Learn to dance at Dance Manhattan where you will enjoy dancing. A Memorable Wedding Dance For You To Experience! Learn to dance for your wedding and learn from among the best dance instructors here in New York. Bovard New York Dance Instruction offers an experience where you will definitely enjoy dancing and will be able to dance with elegance and grace. 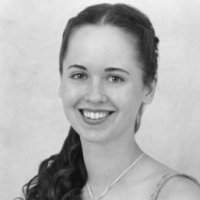 Headed by Eilecia Bovard, she will make sure that your wedding dance will be well choreographed and perfectly executed so everyone will be amazed by your dance routine. Make your wedding a memorable experience for you and your loved one and learn to dance gracefully. Book your reservations at Bovard New York Dance Instruction and contact them at their number or visit their website. Learn To Dance With Style For Your Wedding! Here at Ballroom Wedding Dance they offer dance lessons for weddings and other special occasions making sure that you will perfectly execute the dance moves with grace and elegance. With their expertise in the various types of ballroom dancing, you will be sure to learn the dance style that you want. So make your wedding here in New York a wonderful celebration and dance a good dance on your wedding day. 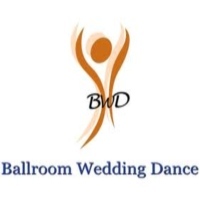 Visit the website of Ballroom Wedding Dance or contact them at their phone for more information and for reservations. The Perfect Place To Learn Dancing For Your Wedding! Have a special couple's dance for your wedding and make it a memorable experience for you and your loved one. Stepping Out Studios offers to provide dance lessons where you can learn a lot of styles in dancing in a short period of time. With their highly skilled and expert dance instructors, you will learn a great deal on what it takes to dance perfectly. Make your wedding here in New York a wonderful occasion to remember and learn to dance with style, only here at Stepping Out Studios. Make your wedding dance as a couple a romantic and wonderful experience. Here at Dance Times Square they will teach couples to dance together with ease and comfort, making sure that they can dance gracefully for everyone to see. With years of experience in choreographing and teaching dance routines, Dance Times Square is one of New York's best places to learn and experience the art of dancing. Enjoy your memorable wedding and dance with style and elegance. Come to Dance Times Square, where they can teach you some amazing dance moves. Make Your First Dance As A Couple Special At Your Wedding! Learn to dance and dance a good dance at your wedding with the help of Sandra Cameron Dance Center. Their wedding package includes 7 hour private dance lessons at a rate of $400 for you and your fiancé to learn to dance. With the expertise and skills of their dance instructors, you will definitely learn to dance perfectly on your wedding day. Have a fun New York wedding and make it a very exciting event where you can have a memorable experience dancing with your life's partner. Call Sandra Cameron Dance Center and avail their wedding dance package. Fantastic Dancing For Your Wedding! Learn to dance and make your first dance as a couple special on your wedding day. Manhattan Ballroom Society will teach you how to dance with ease and confidence on the dance floor making it a memorable experience for you. With their expertise and experience in teaching various styles of dancing, Manhattan Ballroom Society will make sure that you will learn how to dance gracefully preparing you for your wedding day. Make your New York wedding a special occasion where you can truly enjoy and make that first dance as a couple a memorable experience. No Ordinary Dancing For Your Special Wedding! Have that first dance as a couple be a wonderful experience where both of you can perfectly dance with grace and elegance. Zack's Dance Loft is the perfect place here in New York where you can have stress free dance lessons that help you build the confidence needed to be prepared for your wedding dance. 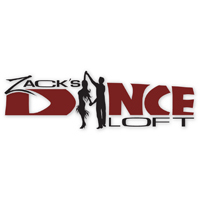 Whether you would like to dance swing dance or tango for your wedding, Zack's Dance Loft will make sure that you will be able to dance a great dance at your wedding. Book your reservations and learn to dance from the best of New York, only here at Zack's Dance Loft.